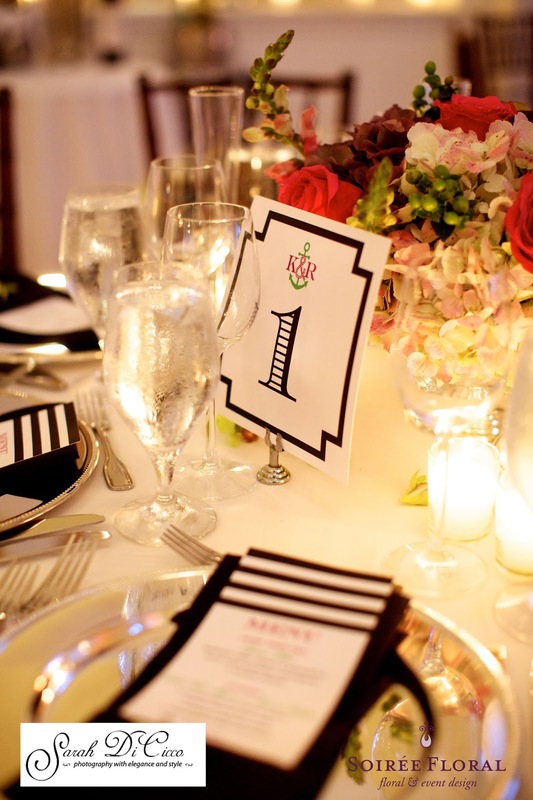 feel extra special, personal and unique. 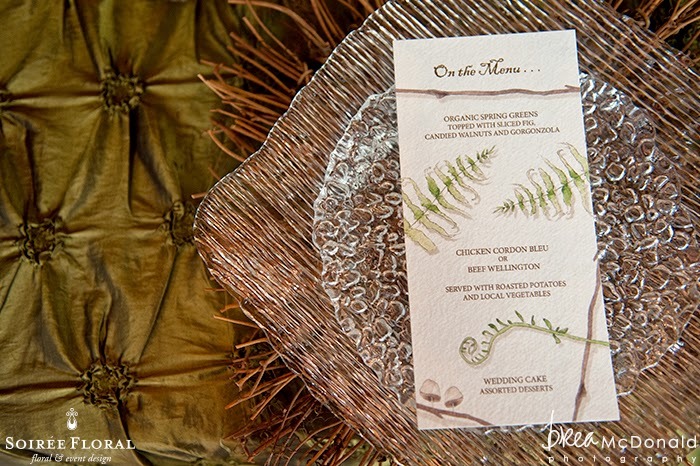 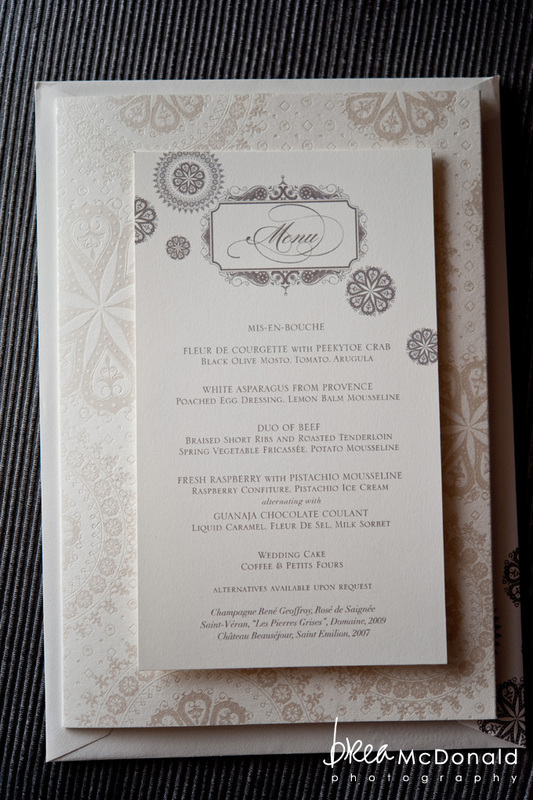 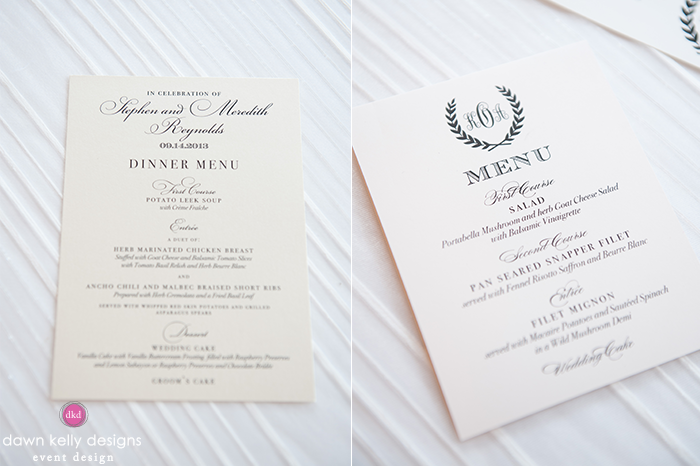 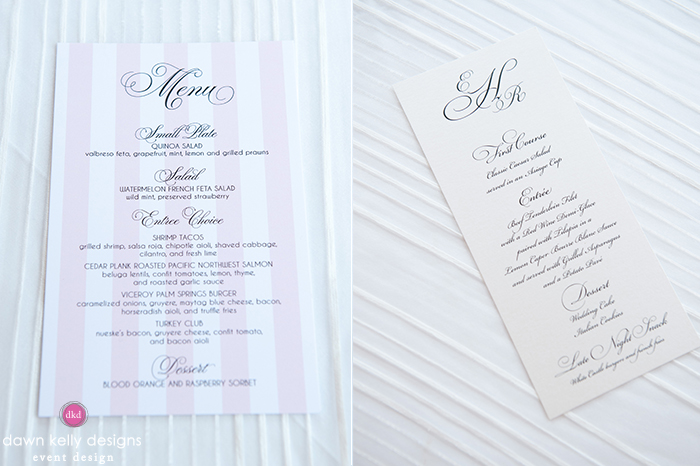 Today we're sharing some details on menu cards for your place settings; this is something that can be done for almost any type of dinner arrangement - buffet or plated. 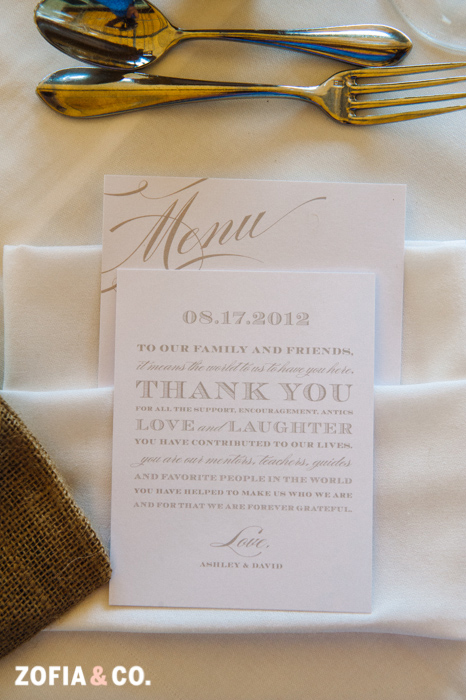 from a ceremony program, menu cards, water bottle labels and signs!